The winter season may do a number on your property's landscape, but it doesn't have to. 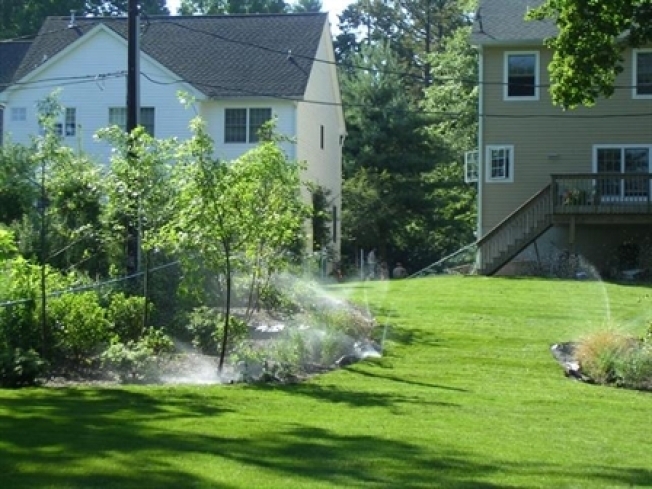 With a combination of evergreen plants, water, mulch -- and these tips -- you can maintain a lush landscape, in spite of the changing seasons. Grouping plants adds variety, but do it in groups of odd numbers -- we grouped ours in sets of three. It mimics the natural order of plant life and blends the landscape evenly and smoothly. It looks great, insulates warmth, retains moisture, and suppresses weeds -- what's not to love? Mulch is vital for cold-weather maintenance. Evergreens are just that -- always green. Use pines, hollies and spruce to bring year-round color to your yard. Leaves don't have to be the focal point of your plant life either -- twigs and stems can have a color pop as well. Plants go dormant in the winter -- start the cool season by giving them an initial bath and watering once a day for two weeks. This will provide them with all the sustenance they need to revive come springtime. A birdbath and feeder will ensure that our feathered friends continue to frequent your yard, keeping it interesting, colorful, and thriving, despite the falling leaves (and changing seasons). For more exterior (and interior) design tips, head to LXTV.